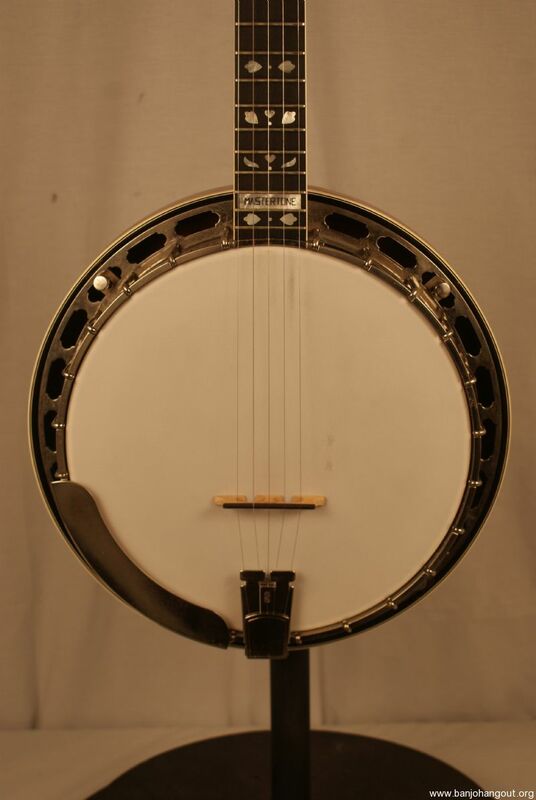 This is a copy of the banjo that Earl Scruggs played. This is a granada with nickel hardware. The banjo has flamed maple with nickel hardware. 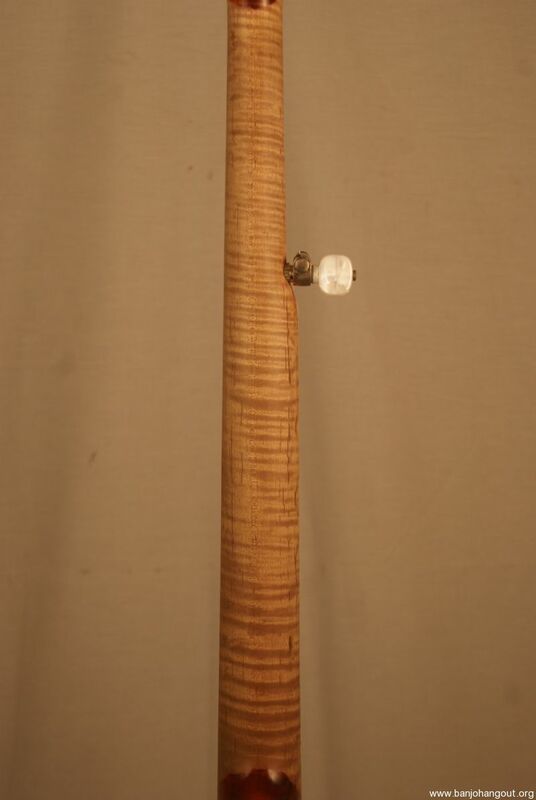 The neck is also flamed maple with an ebony fretboard. The fretboard has a Hearts and Flowers inlay pattern. This also has a speed neck. 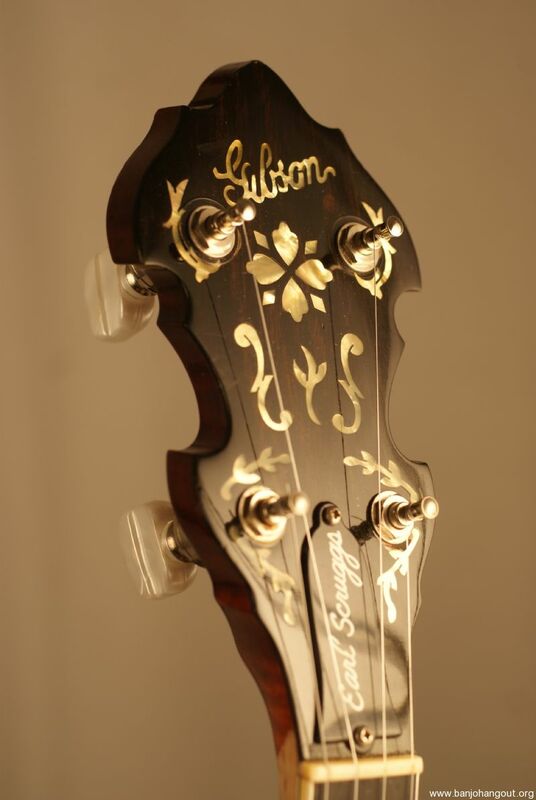 The neck and resonator each have white binding on each side. Everything is original except for the speed necking. The neck itself is original but the speed neck was done aftermarket. 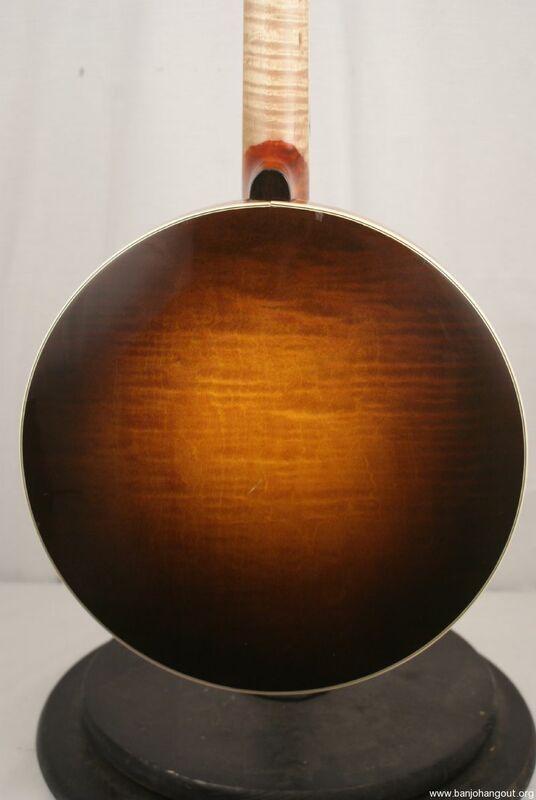 The case is a deluxe archtop hardshell case. The banjo is definitely in good shape but there is some wear. Most notably on the hardware. There is some tarnish and age in the hardware which is noticeable. The hardware itself is solid it just shows tarnish. The wood is clean on the resonator in fact it really looks great. The fretboard itself is clean. The speed neck job is also clean and really feels good. The name Earl is written in sharpie on the inside of the rim and I don’t think that is Earl Scruggs signature. But it’s there. The frets are in good shape, just a little flat but no serious denting at all. In fact the banjo is a great player. There are spikes at the 7th-9th frets. 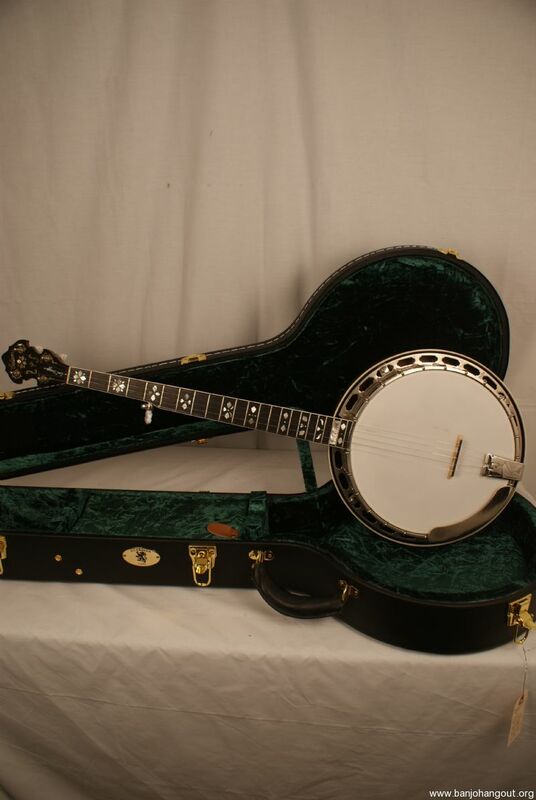 Overall this is a great looking banjo but it does show some age. The case is in fantastic condition. This ad will automatically expire 5/13/2019 7:18:37 PM unless updated before that date. To keep the system current, ads expire if not updated for more than 60 days.